In this article we’ll look at ASOS: a British online retailer that got it right. Thanks to a superb global shipping strategy and accommodating international buyers, ASOS has become a truly global business. The online store ASOS, a British fashion giant, is classified as the best online shopping site in the UK and overseas. Positioning itself as a global online community of fashion lovers, it has built a loyal customer base across the world. ASOS has become a global business with around 60% of its business coming from abroad. Offering a fully localized buying experience to their key international markets was the cornerstone of ASOS’ ecommerce success. Why is ASOS one of the UK’s biggest ecommerce success stories? ASOS’ global strategy was spot-on. 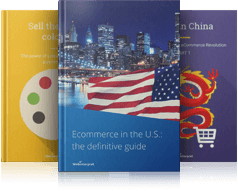 An irresistible part of its value proposition was free worldwide shipping and free returns. The company’s growth should be the source of inspiration for online store owners. It expanded internationally at an impressive rate within a short period of time. Warehousing and delivery solutions have been ASOS’ priority. Distribution efficiencies and delivery options enabled the company to ship to numerous international destinations across the globe within 48 hours. Sometimes it was quicker than domestic retailers in some countries! ASOS got to understand the importance of adapting their website and activities to local markets. For instance, after launching a dedicated Russian website in May 2013, ASOS observed subsequent strong growth in this territory. 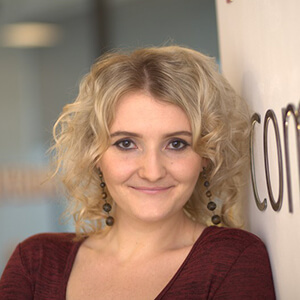 Local language customer care, social media activities and a dedicated express delivery solution were factors that helped to build a strong position on the Russian marketplace. The reports published on ASOS’ website, dating back to 2007, are evidence to the company’s spectacular growth on international markets. According to the Chief Executive’s Statement from ASOS’ Annual Report & Accounts (2007), international revenues grew by 158% in the year to £4.5 million, accounting for 10.5% of sales. On the basis of the report from 2010, over the course of 2009/10, international sales are said to have increased by 95% to £63 million. The company shipped to 167 countries globally from its distribution hub. Much of its growth was driven by strong performances in the countries where ASOS had dedicated websites, for example in France, Germany, Italy and Spain. When it comes to 2014, international retail sales went up by 22% (UK retail sales up 35%). International retail sales accounted for 61% of total retail sales. The company continued expanding their reach by improving the ASOS experience internationally. The main focus was put on removing barriers, e.g. related to delivery speed and payment methods. a new warehouse in Germany to serve local buyers. ASOS continued logistics investments in their international warehouse infrastructure. Later on the focus was also put on improved technology platforms, especially local language mobile sites. Efficient global delivery strategies as well as ecommerce localization made ASOS into a business that rocked international ecommerce. Free worldwide shipping, distribution efficiencies and the overall international online sales strategy has made ASOS into a truly successful online store on a global scale. Serve your international buyers a feel-at-home, localized buying and shipping experience: they will love it and they will love you! ASOS has proven that one of the key elements of international ecommerce success is a good shipping strategy. Efficient logistics positively impacts pricing, order quantities, customer loyalty and average order values. No wonder ASOS got it right. shipping options/costs attractive for the buyer. 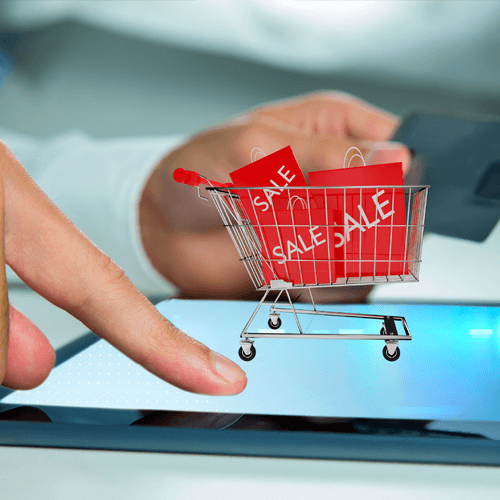 High shipping costs are a valid reason why buyers are not happy with their online shopping experience and decide to abandon their shopping carts. How to make your buyers happy? Among other things… get your shipping prices correct. 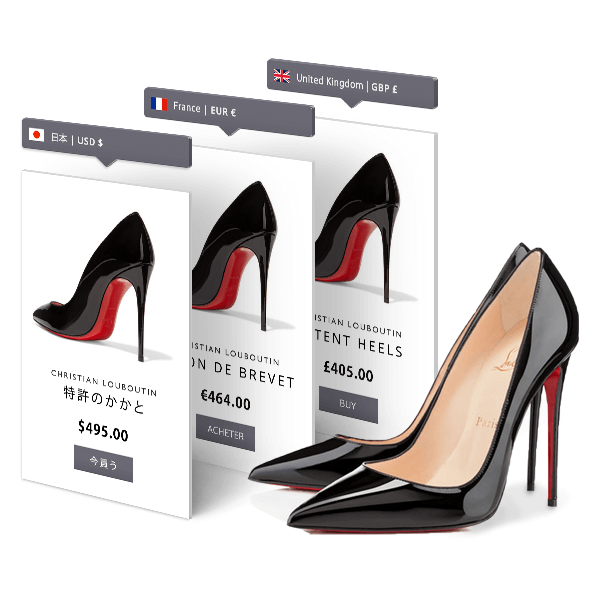 Shipping costs can be a major pain for international shoppers. This is how a bargain can turn into a bad deal, putting potential buyers off. We’ve observed at Webinterpret that if the shipping price is too high compared to the product price, it’s not likely to sell. Imagine this: if the buyer orders £10 worth of goods and has to pay £5 for shipping, shipping is 50% of the order price! The total price may still be attractive, but a lot of psychological resistance is likely to arise. Shipping prices can be genuine deal killers, even in the case of the most attractive prices. Hence, consider how much of the shipping cost you can put into your product price. Free shipping is all the rage and ASOS made the most of it. Can my business really afford it, especially if I am to ship internationally? After all, somebody has to cover shipping costs, right? Compared to shipping within your domestic market where free shipping can be offered more easily, waiving shipping costs for your international customers can be more of a challenge. And you don’t want to ruin your margins. … and improve your checkout conversion rates. If your goal is to offer competitive shipping rates to your international buyers AND pay low shipping rates yourself, you may have heard about parcel forwarding services. Parcel forwarding companies ship items abroad in large amounts so they can get much better rates and discounts. Due to the high volume of shipments, such companies can afford to negotiate great shipping rates and pass on lower costs to their clients. You can pay less for international deliveries and sell more. 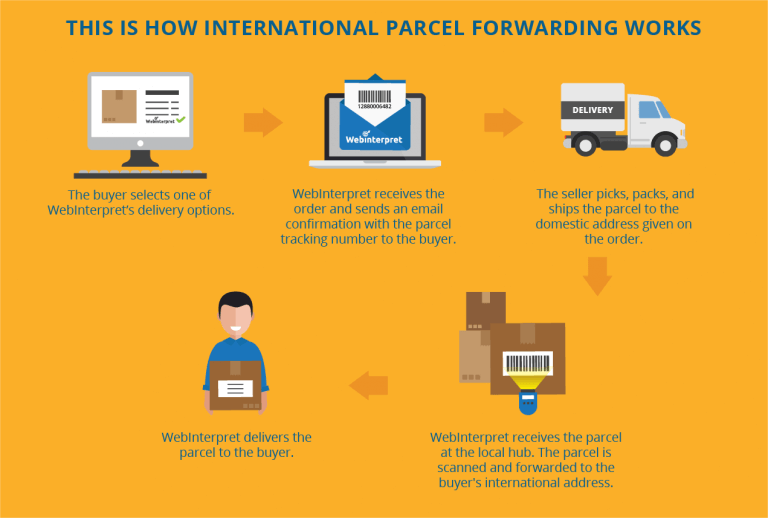 What are the benefits of parcel forwarding? handling international orders as if they were domestic: just send your deliveries to our local shipping hub in the UK and Webinterpret will take it from there! For more details about how you can use shipping services and parcel forwarding to grow your ecommerce sales, check out our article Grow your international ecommerce sales with parcel forwarding. 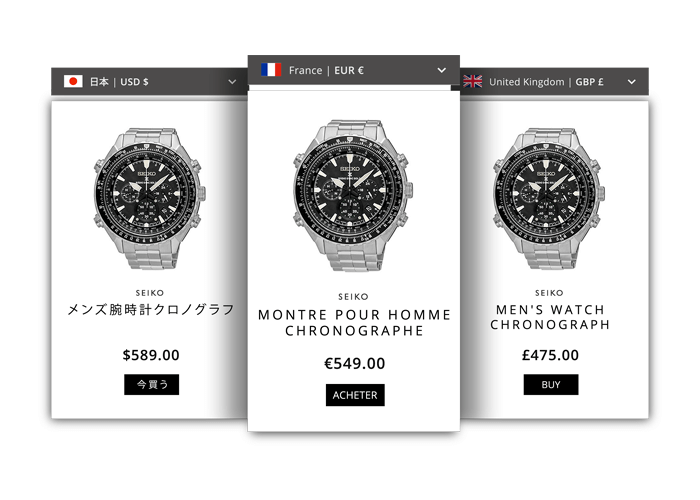 With Webinterpret not only can you profit from great shipping solutions, but you can also launch your online stores on global markets. 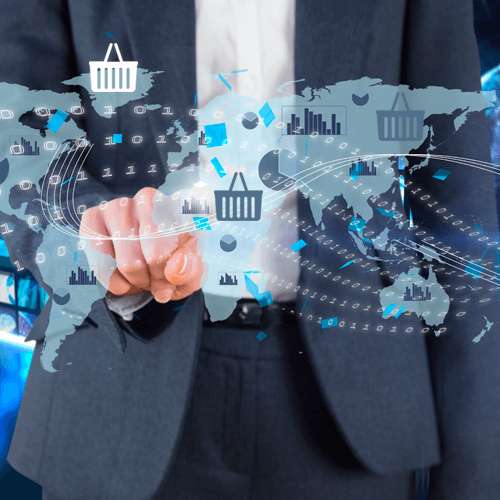 The Paypal Global Sellers program is a cross-border sales solution that translates and localizes online stores and upgrades the buying experience for international buyers. The program is available in up to 60 countries. Among supported carts are Shopify, Magento, WooCommerce, Bigcommerce and WPEC. The service is 100% free for the seller except for standard PayPal fees. Shipping fees are paid by the buyer, thus there is no extra cost for the seller. In other words: there’s no risk on your part, but there’s a lot you can gain. ASOS has become a true ecommerce success story. An efficient worldwide shipping strategy and ecommerce localization have played a major role in its global expansion. Thus, consider using shipping services, e.g. parcel forwarding, that will let you ship goods abroad in an efficient and cost-effective way. 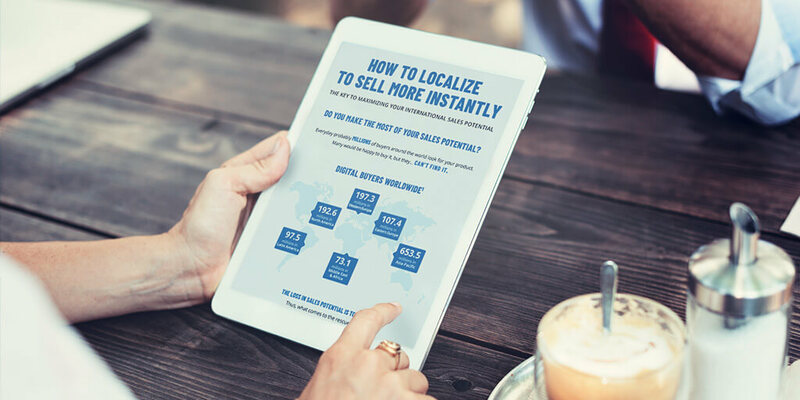 Additionally, remember to adapt global versions of your online store to local markets, offering the buyer a localized buying experience. This way, you will increase your level of competitiveness to that of local sellers. 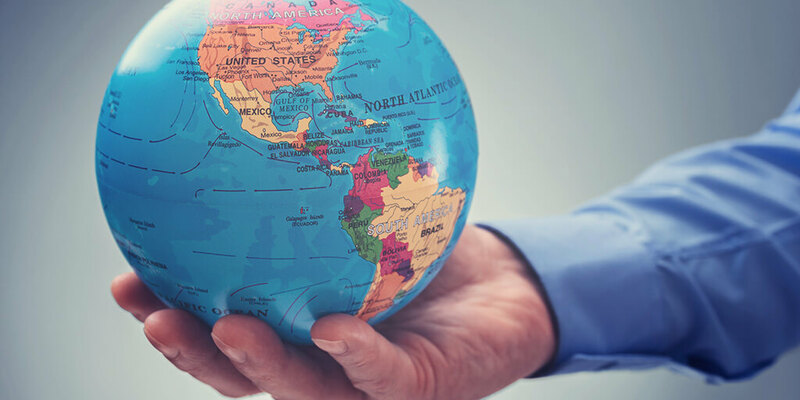 A cross-border trade partner can you help you minimize your shipping costs and maximize your international sales potential. Interested in finding out more? Book a FREE demo!